GZ series economical liquid filling machine use gear pump and transport power of liquid, the core is using SCM microcomputer to control, compact structure, easy to operation, measurement accurate, reliable quality with longer working life. It can be used in pharmaceutical, food, oil, chemical industries and it is suitable for most of kinds of liquid including high viscosity liquid without granules, such as all kinds of medicament, chemicals, oils, cosmetic, food etc. It is suitable for filling kinds of liquid including high viscosity liquid without granules, such as all kinds of medicament, chemicals, oils, cosmetic, food etc. 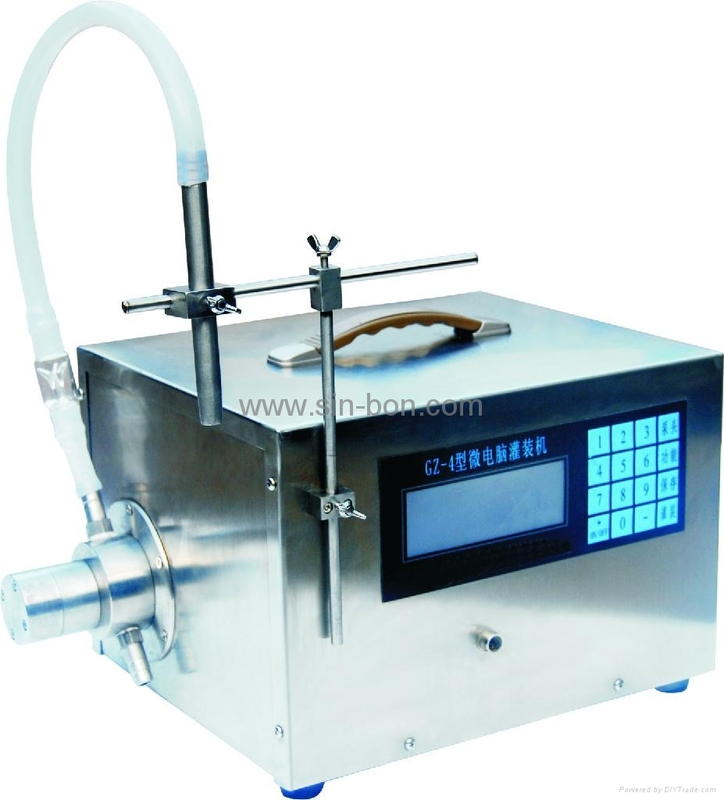 Filling control accurately, filling range 50-8000ml.